You do keep busy! Loving the penny sampler! Nice idea to put some modern maples on the back of the Take a hike quilt. Can't wait to see it all. Oh you need some "me-time", I think! Thank you for your great post! Love the colours in the sampler!!! The Penny Sampler is looking great. I love the colours. I'm also loving the fussy cutting on the Sarah Jane Out to Sea blocks. It looks like you have been one very busy lady. Your Penny Sampler is coming along beautifully! 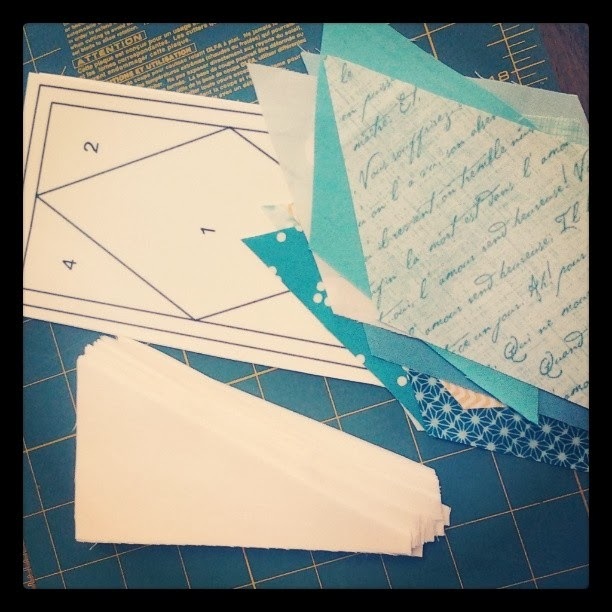 Yay for squeezing in some paper piecing! 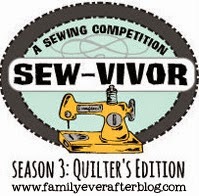 Hope your sewing time helped your sanity (I know it saves mine!! ;) ). Niiiicooollee!! Great job making it through a busy week and still managing to get some sewing in!! I love the look of the DP9 with the mix of solids and prints and I think the maples on the back will be sheer perfection! The diamonds...they are awesome as well as the tiny churn dashes. When I saw Rachel's QAL I said to myself, "Nicole will not be able to resist this"!! But you aren't really adding another project to your list. You are actually helping move a wanna be WIP off the list. 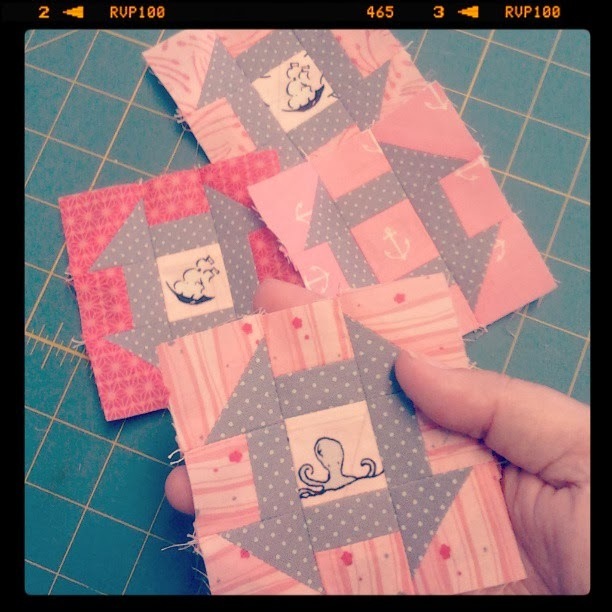 You have been planning to make birthday quilts and by using the Penny Sampler QAL you are hitting 2 birds with 1 stone :) hope you have a good weekend and get to accomplish the sewing you would like to!! That looks like big bit of your week. You sure keep yourself busy. I especially like those sweet little churn dashes. Those diamonds are PERFECT! I love that you swapped to shades of blues with that pop of yellow. 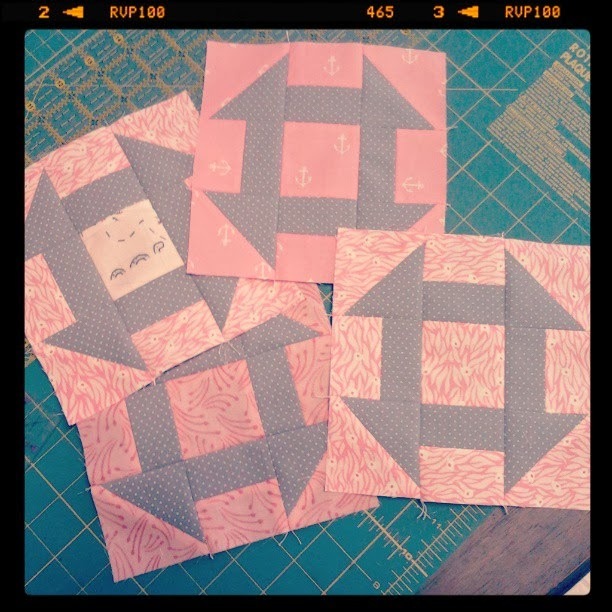 I love how your penny sampler is coming together!! I'm glad everyone is feeling better in your house! Love the one yellow diamond! Good decision. Love how that row of diamonds and those churn dash blocks turned out. Gorgeous!! Glad your sampler is coming along, its lovely! 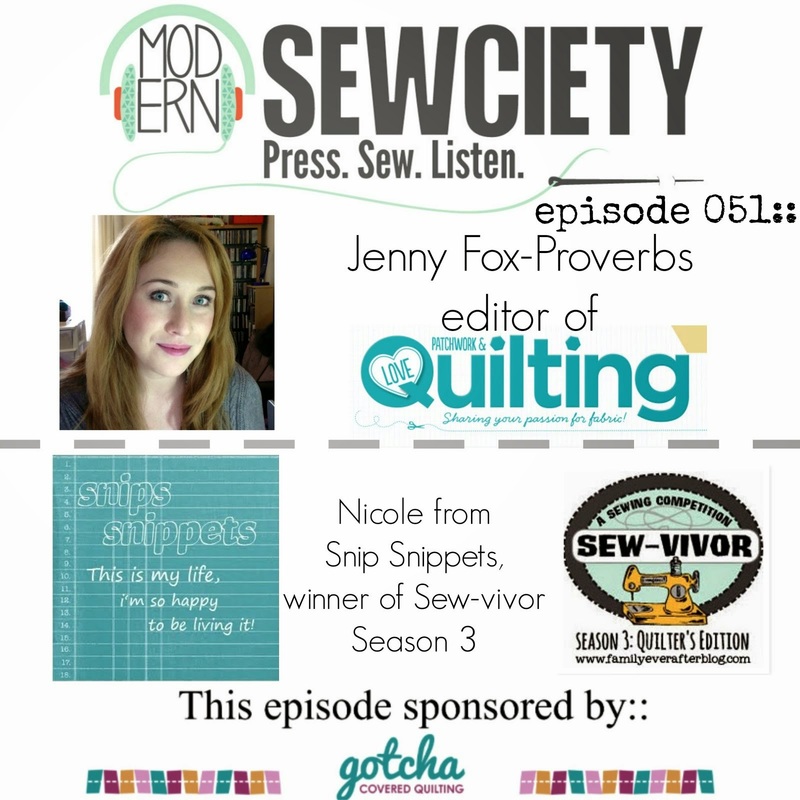 Love the sampler Nicole. Really cool. 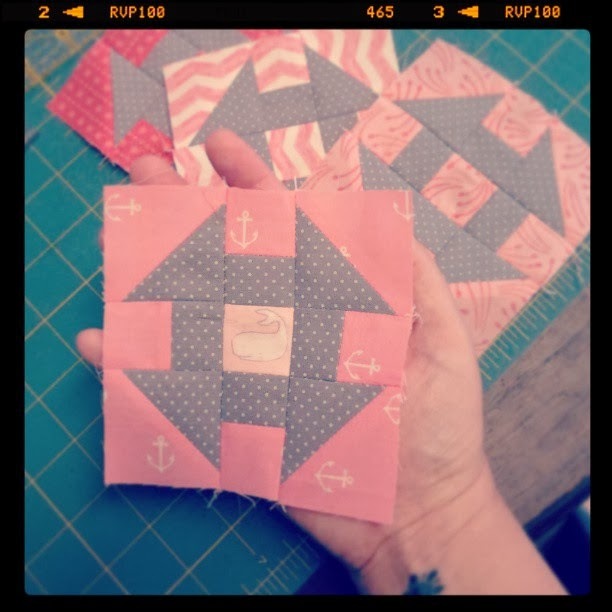 I love that you are adding another project - Penny Patch QAL - to your list! Crazy woman! Inspiring I tell you! Those diamonds are so good, thanks for posting photos. The one yellow diamond among the blue is just right!